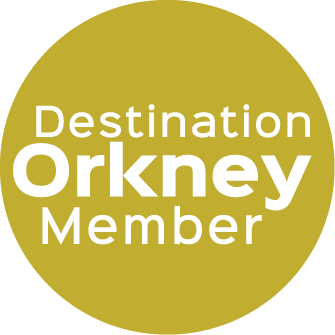 Situated close to the pier where the roll on roll off ferry serves the island group of Rousay, Egilsay and Wyre on a regular daily basis. We are an ideal base from which to explore this diverse isle also known as the 'Egypt of the North' on account of the wealth of archaeology spanning 5000 years of history including the 'Great Ship of Death' at Midhowe. 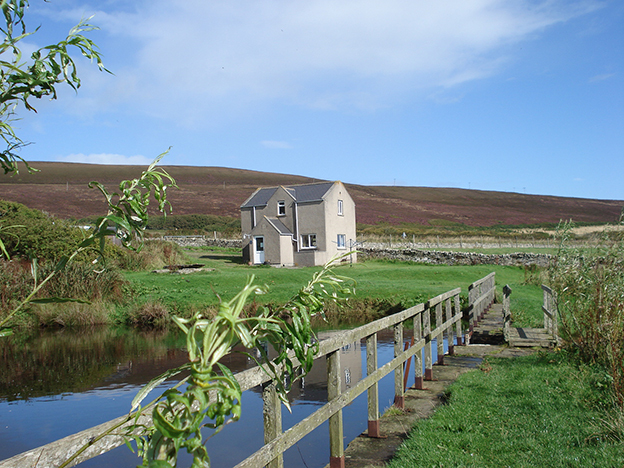 Walk amidst the wildlife on the RSPB reserve home to Red throated Divers, Hen Harriers and Merlins. Clamber along the cliffs and watch the wheeling Guillemots, Fulmars and Kittiwakes. 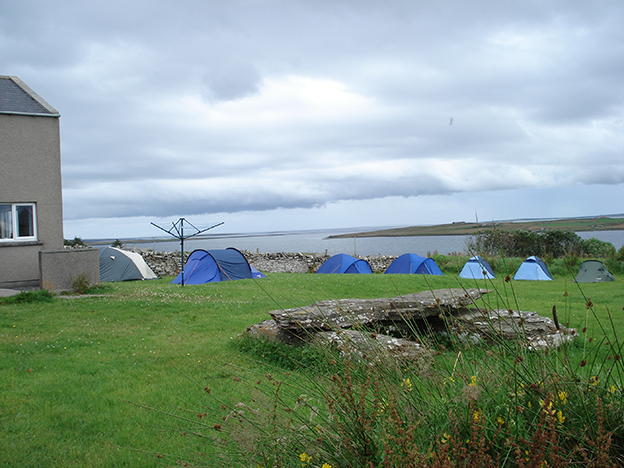 Cycle the circuit of the isle and train for the Rousay Lap half marathon held annually in August. 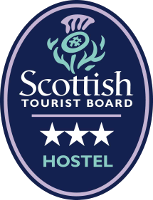 Return and relax at The Rousay Hostel at Trumland Farm previously the home farm of Trumland House which the infamous Little General had built in 1875 to a design by David Bryce. 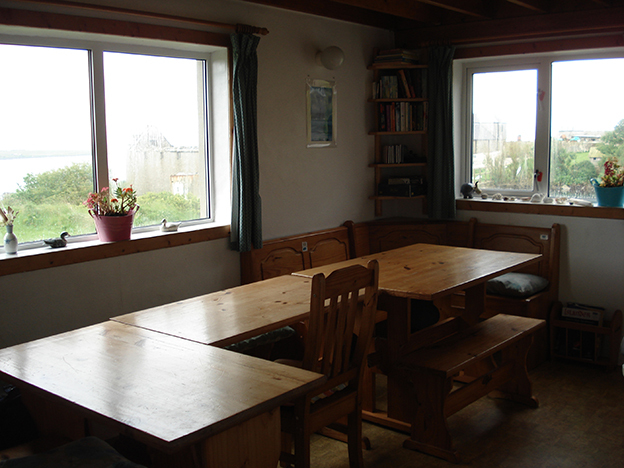 Rousay Hostel was the first independent hostel in Orkney built in 1993. 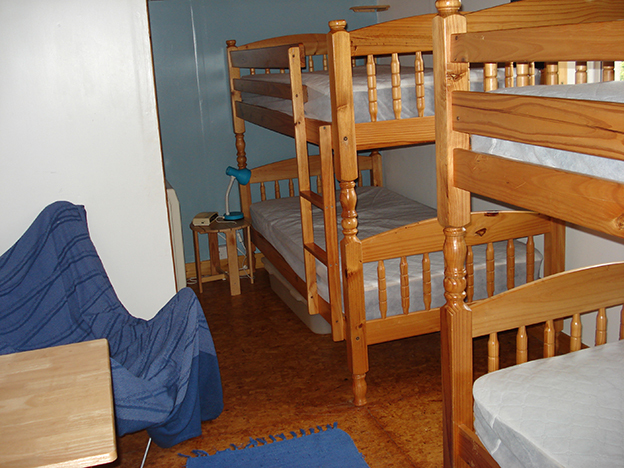 It has two small upstairs dorms, one has three sets of bunk beds and the other is the family room with two sets. 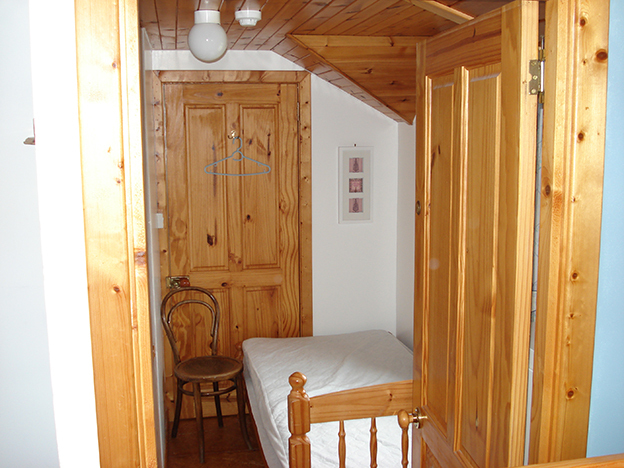 There is also a slip of a single room which can open up to either dorm. 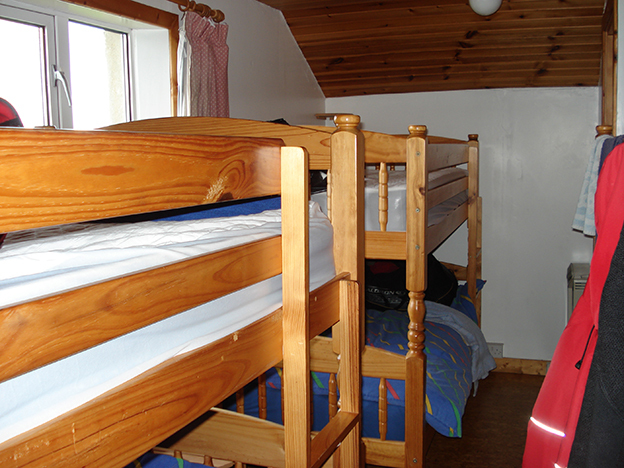 It is also possible to camp beside the hostel and use the hostel facilities. 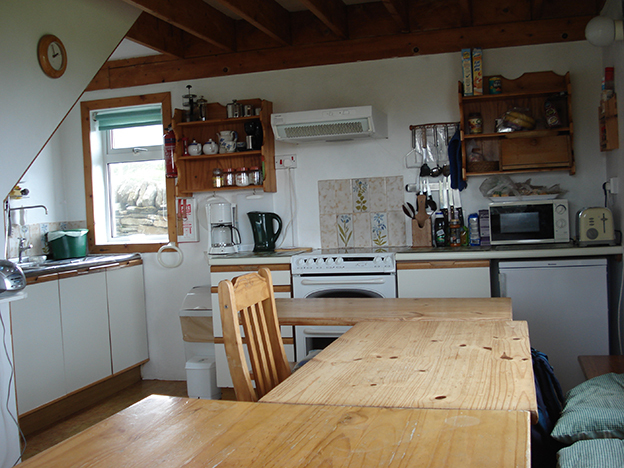 There are two shower rooms on the ground floor and a kitchen with seating area. Seasonal organic farm produce may be available. Bikes are available to hire. Courtesy transport to and from the pier by arrangement for guests.